Bazaarvoice helps brands and retailers find and reach consumers, and win them with the content they trust. 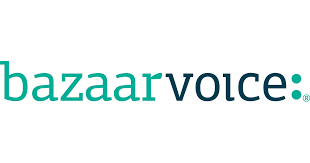 Each month in the Bazaarvoice Network, more than one-half billion consumers view and share authentic consumer-generated content, including ratings, reviews and curated visual content across 5,000 brand and retail sites. This visibility into shopper behavior allows Bazaarvoice to capture unique first-party data and insights that enable our targeted advertising and personalization solutions.